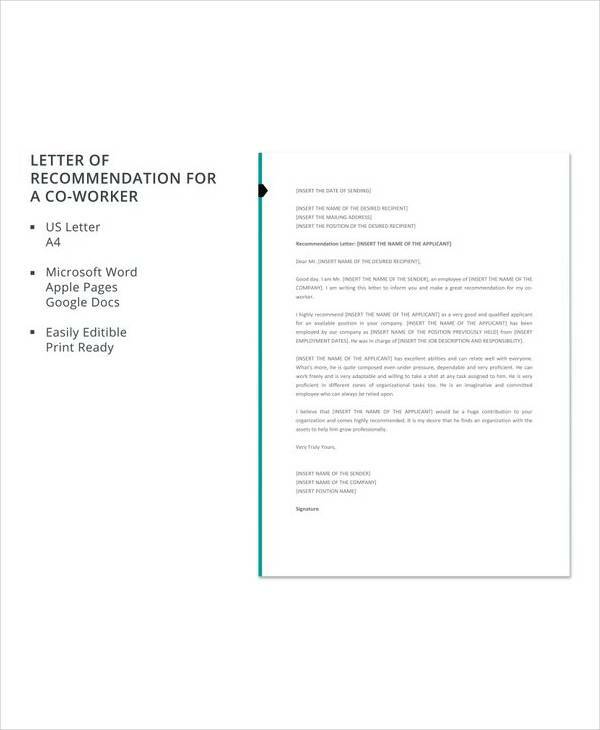 Are you asked by your present or former coworker to write a recommendation letter for him/her and yet you find yourself staring blankly at the blinking cursor of your word processor not knowing how to start your letter? Well, in order to help you get through this ordeal, it would be of immense help if you read samples of recommendation letters first. 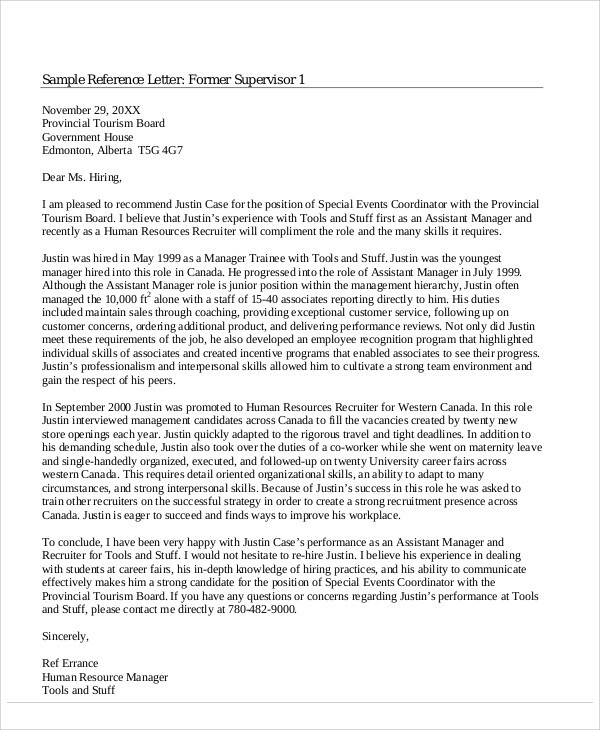 Indeed, you are just in luck since we have collected various coworker recommendation Sample Letters that are available for free download. These are in PDF and Doc formats, hence making it easier for you to access it or edit it as you deem fit. 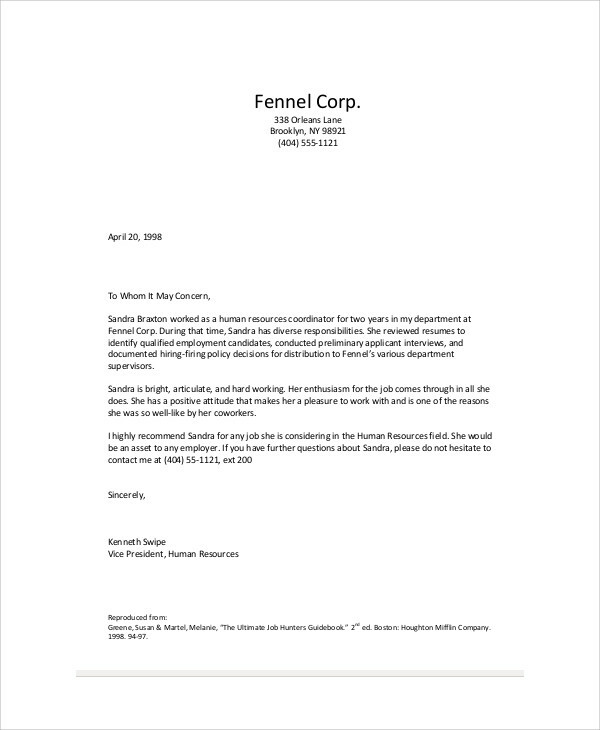 Whatever the reason for writing a coworker recommendation letter, you must perform intense research first before you start writing. 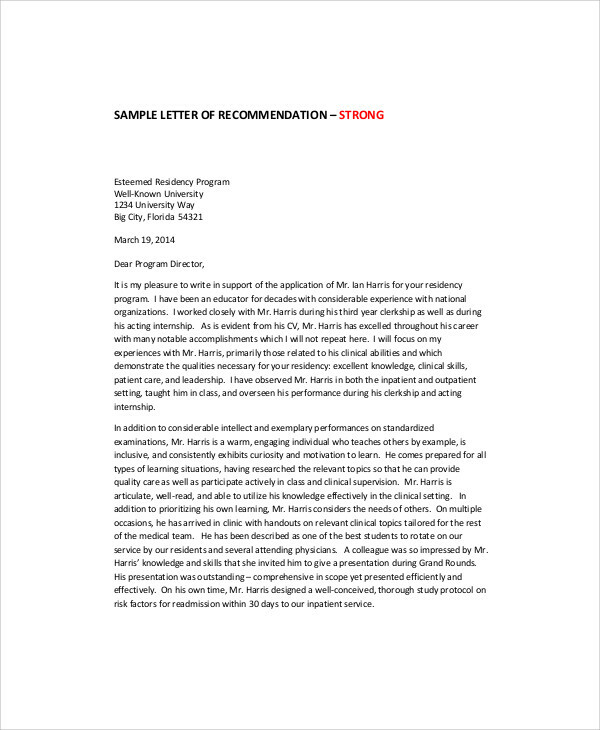 Scouring the Internet for samples and formats will immensely help your letter-writing success. 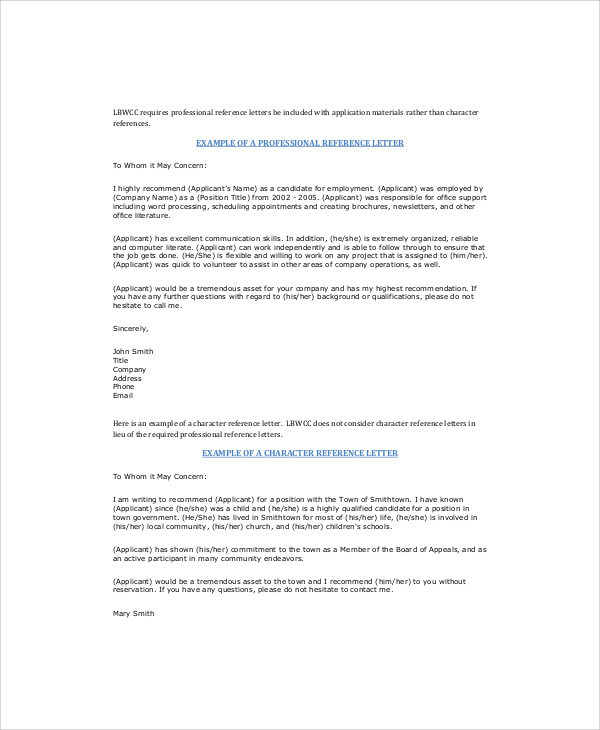 For more reference, you can check out our collection of Letters of Recommendation for Graduate School; you can also browse through our wider collection of templates on this website by using the search bar on the topmost part. Before you start enumerating the applicant’s positive qualities, you need to make sure that you know the specific qualities that the hiring manager or the person assessing the applicant’s qualification for a promotion is looking for. In order to do this, you need to read the job description of the position that the applicant is aiming for. This way, you can scrutinize which areas of the applicant’s qualities you need to emphasize in order to suit the specific skills and requirements that the position entails. This part is necessary in order to establish your authority as an objective and impartial recommender of an applicant’s characteristics. You can state that you have worked with the applicant previously in the same company or department. Mention some commendable virtues of the applicant’s that you have noticed in the whole time that you have interacted with him/her. 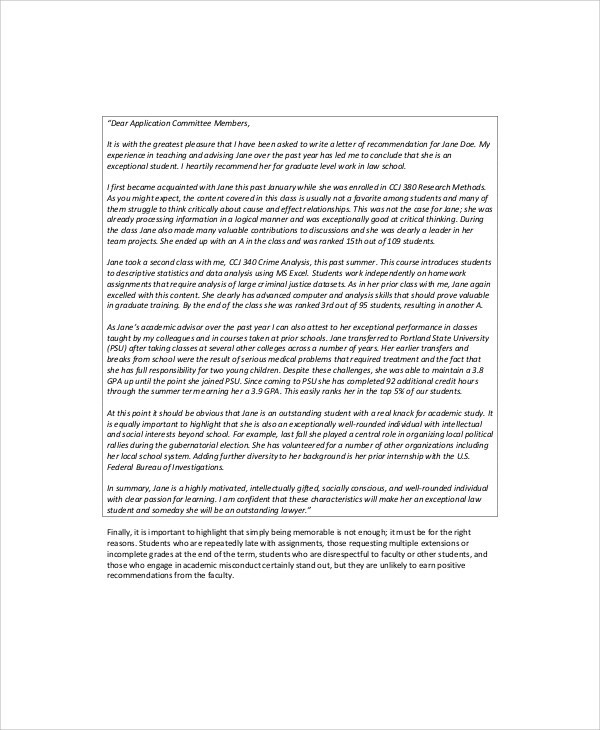 Enumerate the applicant’s positive traits. Be sure to state only those which are true. Don’t resolve to lies just so an applicant may get the job. Doing so is unethical and might be detrimental to your credibility as an employer or as an individual. Highlight the characteristics that fits the ones required in the job description. Narrate specific instances to support your claims. In order to avoid sounding like you are giving out vacuous statements, you need to make sure your claims regarding the applicant’s positive traits are credible and believable. You can do this by narrating in detail the specific instances in the past when the applicant displayed a particular skill. Close letter in a formal tone. Use polite language and closing remarks that are formal. Remain courteous and direct in your language. 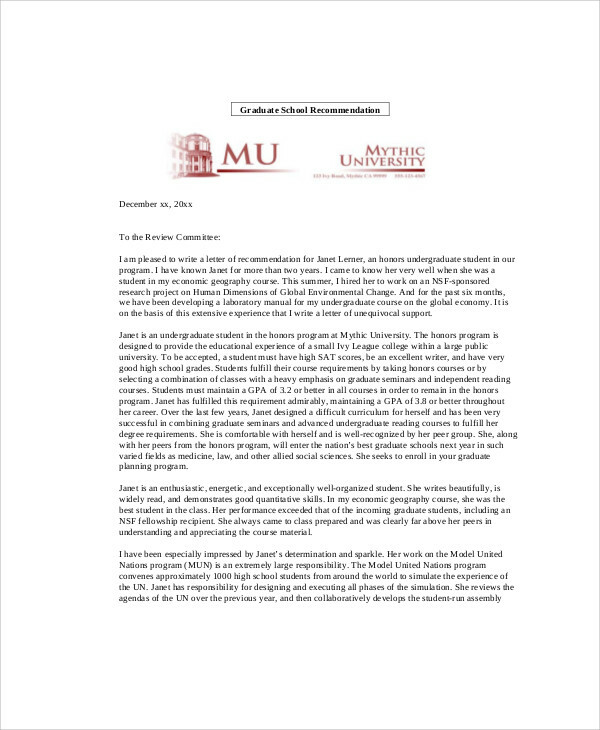 For more reference, download our Examples of Letter of Recommendation. Simply click on the link provided.